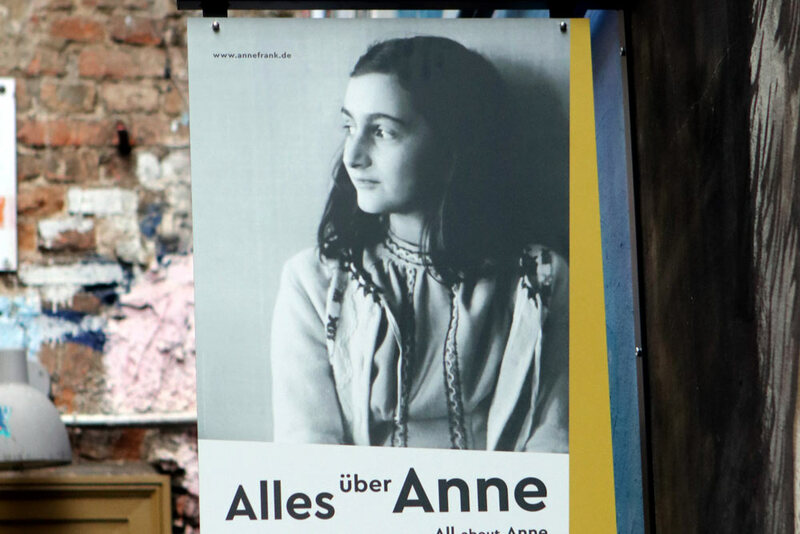 At the Anne Frank Zentrum in Berlin is the permanent exhibition "Anne Frank. here & now". 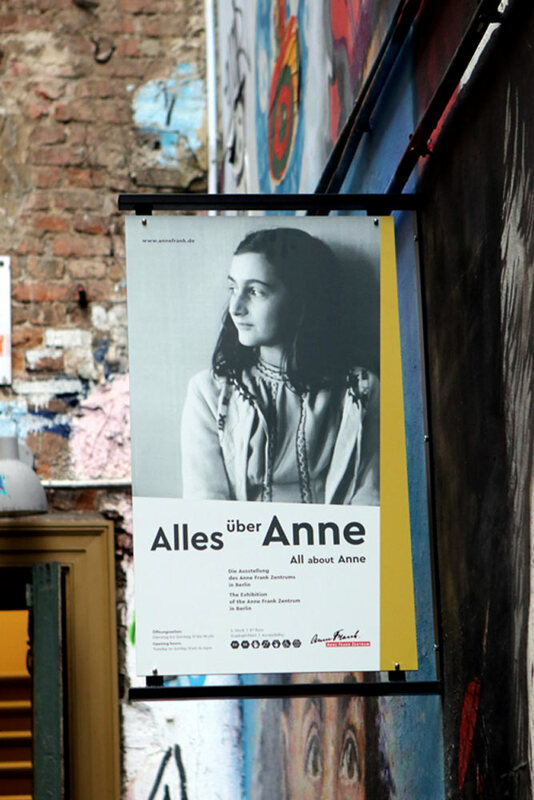 The exhibition was jointly developed by the Anne Frank House Amsterdam and its German partner organisation Anne Frank Zentrum Berlin. The entire exhibition is both in German and in English. The exhibition is divided into three parts. In the first section, Anne Frank’s life story is told chronologically, using artefacts, archive photos and photos from the Frank family albums. This personal story is show against the background of the history of Nazi times. 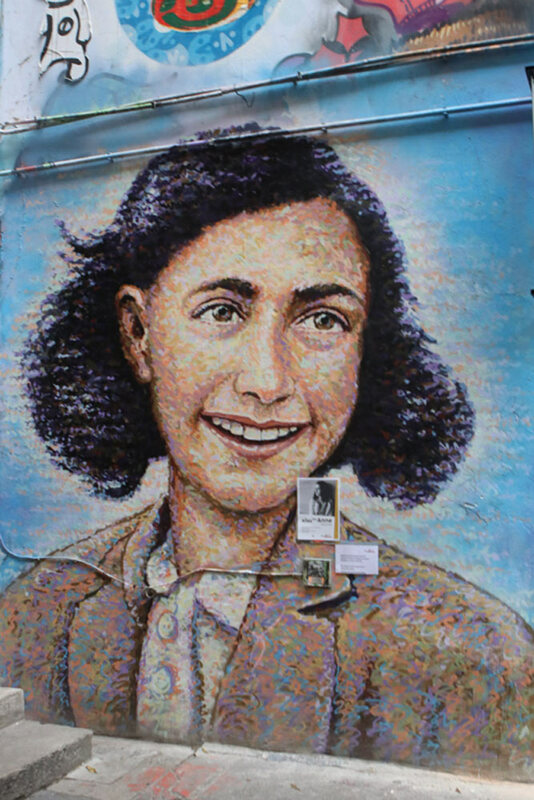 In the second part, five young people from Berlin, filmed in specially designed spaces, give their opinions on themes that play an important role in Anne Frank’s diary: Identity, Dreams of the Future, Exclusion and War. Another central function of this area is to create the opportunity to explore various aspects of the exhibition in more depth with school groups. The third part of the exhibition attempts to answer the question of why the diary of Anne Frank invokes such positive reactions: why has her diary become so famous? A number of possible explanations are explored: it is positive, it is well written, it is an intimate document of adolescence and it breaks off suddenly and tragically.